Senate Bill 181: Potential changes for oil and gas operations in Colorado. Colorado’s Senate Bill 181, introduced on March 1, 2019, proposes to significantly modify Colorado’s oil and gas statute and revise the local governments’ regulatory authority over the surface impacts of oil and gas development according to a March 21, 2019 Trinity Consultants report. The bill passed out of the House Finance Committee on March 25th and continues to advance through the legislature according to a March 26, 2019 Greeley Tribune report. Continuous emission monitoring equipment: Section 3 of the bill directs the air quality control commission (AQCC) to adopt rules that require an operator of an oil and gas facility to install continuous emission monitoring equipment at the facility to monitor for hazardous air pollutants (HAPs), as well as for methane and volatile organic compounds (VOC). This could be required for facilities with large emission potential, or multi-well facilities and facilities in close proximity to occupied dwellings. The proposed rule states that the requirement to comply with this subsection would be phased in depending on the production capability, age of the facility and the commercial availability of continuous monitoring equipment. Section 5 repeals an exemption for oil and gas production, which provides counties with the power to enact ordinances to regulate noise. Section 4 clarifies that local governments have land use authority to regulate the siting of oil and gas locations, and land use and surface impacts. This includes the ability to inspect oil and gas facilities, impose fines for leaks, spills, and emissions, and impose fees on operators or owners. Section 10 clarifies that the AQCC/Water Quality Control Commission (WQCC) can step in to regulate the air/water pollution associated with oil and gas operations, and that nothing in the Oil and Gas Conservation Act will alter, impair, or negate the authority of the AQCC/WQCC. It also clarifies that a local government can regulate land use related to oil and gas operations, including specifically the siting of an oil and gas location. Section 11 requires operators to file, along with the application for a permit to drill, either: proof that the operator has already filed an application with the affected local government to approve the siting and of the local government’s disposition of the application; or proof that the affected local government does not regulate the siting of oil and gas locations. Section 15 amends preemption law by specifying that both state agencies and local governments have authority to regulate oil and gas operations, and establishes that local government requirements may be more stringent than state requirements. 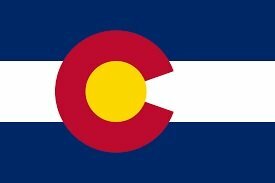 Colorado’s Senate Bill 181, introduced on March 1, 2019, proposes to significantly modify Colorado’s oil and gas statute and revise the local governments’ regulatory authority over the surface impacts of oil and gas development. Contact MIRATECH for compliance solutions for oil and gas stationary engines in Colorado.